Mudgee Volunteer Rescue Squad holds their 38th Annual General Meeting on Monday Night. 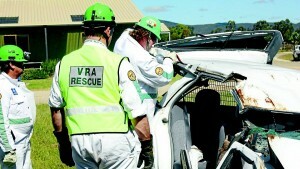 SERVING COMMUNITY: The Mudgee Volunteer Rescue Squad held their annual general meeting on Monday. Members of the Squad are pictured during a rescue demonstration for the Starline Cruisers earlier this year.